Voyonic, one of the largest management companies which operates in the International Marine Employment and Services sector is based in Guernsey in the Channel Islands. Located in the Bay of St Malo the Islands are British Crown Dependencies and are Independently Governed and have associate member status within the EU. The Bailiwick of Guernsey consists of the islands of Guernsey, Alderney, Sark, Jethou, Brecqou and Lihou. Measuring just 24 square miles at high tide and with a tidal range of 10 metres Guernsey doubles in size at low tide. Guernsey has a very strong seafaring past from fishing for cod off Newfoundland to Privateering. Its geographical position and allegiance to the UK Crown has seen the Islands at conflict with near neighbours France on numerous occasions throughout history and the range and scope of fortifications built to repel Napoleon is of significant historic interest. During the Second World War the Channel Islands were the only part of the UK to be occupied by the Third Reich. Hitler believed that the Channel Islands were of strategic importance and as such became the most heavily fortified sector of his Atlantic Wall, many of the concrete structures built still exist throughout the islands. The Islands are incredibly picturesque with a fantastic selection of flora and fauna, a temperate climate, and a wide selection of great bays and beaches. These natural assets have helped to create a thriving tourist economy with visitors from both the UK and Europe. Guernsey is well connected to both the UK and Europe with links to many cities and ports. The economy of Guernsey has evolved over time to a position where the main driving force of the economy is now International Finance, The Channel Islands now being one of the largest global Offshore Financial Centres. This ‘industry’ has evolved over the past 50 years and covers all areas of economic activity from Banking, Insurance, Funds and Investment management through to all aspects of International Marine Management and Services. 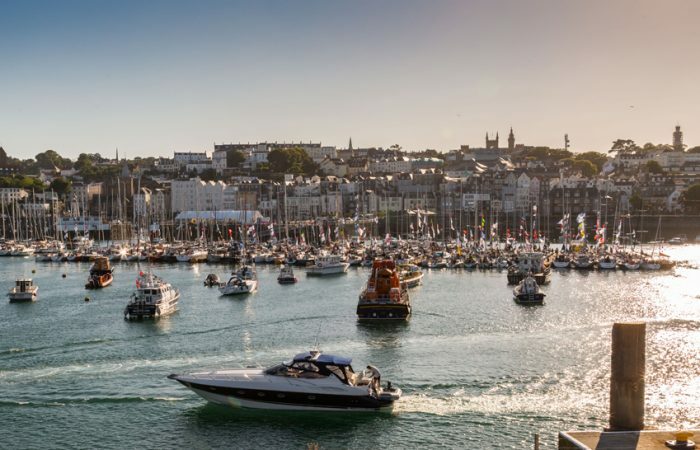 Much of this activity is centered around the historic town of St.Peter Port and its harbour, one of the best deep water harbours in the English Channel. St.Peter Port harbour boasts three marinas and is a popular ‘visit’ for yachtsman and boatowners from both sides of the Channel. Cruise liners are frequent visitors and annually the Island will host in the region of 120. 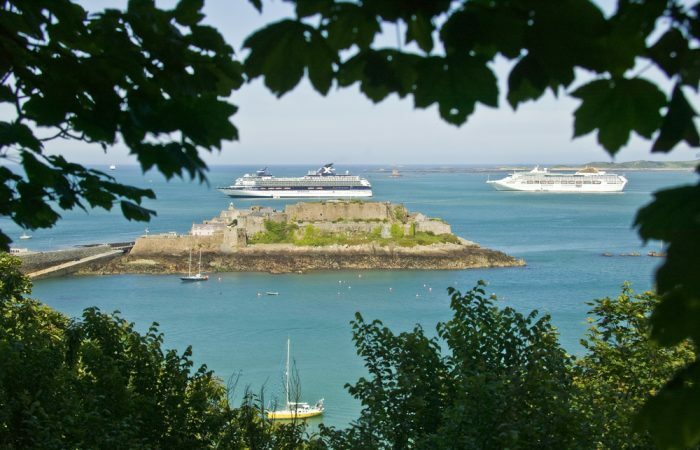 Superyachts are making increasing visits on their way through the English Channel and the team at Voyonic are perfectly placed to ensure that a visit to Guernsey will be an enjoyable and rewarding experience. Voyonic will manage any visit made by a superyacht in a professional business like and discreet manner from arrival through to departure. The senior management team at Voyonic have significant experience in all areas of international marine activity including Legislation, Registration, Tax, Employment and Finance through to Crewing and Concierge. 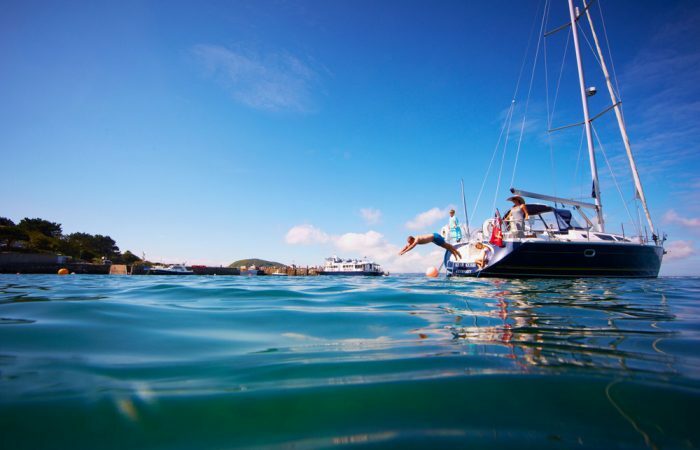 Any visit made to Guernsey can be successfully managed by Voyonic from ensuring that all the necessary regulatory and ‘housekeeping’ activity is professionally undertaken along with ensuring that all aboard enjoy their time on Guernsey – be it a sight seeing and historic experience or just a really good lunch.